I have listed 3 new lovely designs in Contemporary Chic. These are all simple designs with modern, fresh design elements and clean lines that will spotlight your product. Go pick one up! 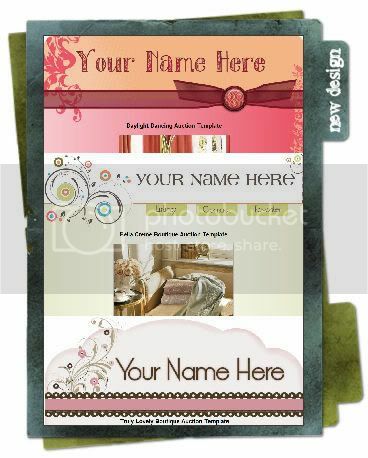 Recently, I had the pleasure of creating a couple of auction templates for a wonderfully talented scrapbook designer. 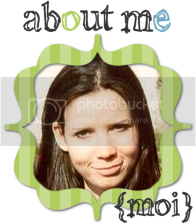 She has an awesome blog and creates stunning scrapbook pages...plus, she's super sweet! Check her out! Yes, it has been awhile :) Many things have happened in the last month which I i will post about later, but I wanted to start my "new design" postings again. 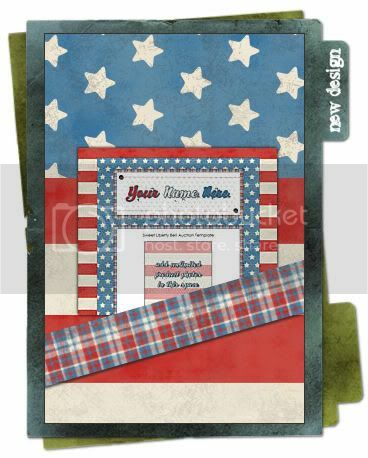 This design is titled "Sweet Liberty Bell" and I just love the simplicity of it. Even though the 4th has come and gone, patriotism is a year-round feeling! 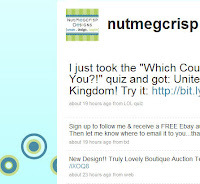 Click on the image to view the actual product in my Ebay store.